YPSA observes the International Migrants Day’2017 with a call to protect rights of the migrants as they are playing an important role in financial progress of Bangladesh. 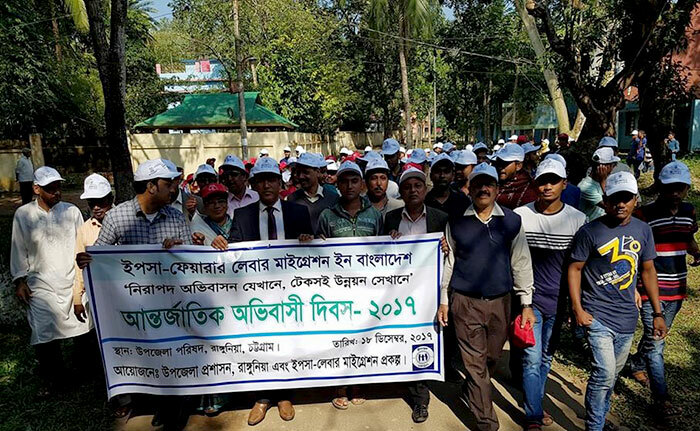 YPSA observed this day with the joint efforts of Government, NGO, Bank and Community People in YPSA’s working areas (Chittagong and Cox’s Bazar). The theme of International Migrants Day’2017 by UN is “Safe Migration in a World on the Move”. 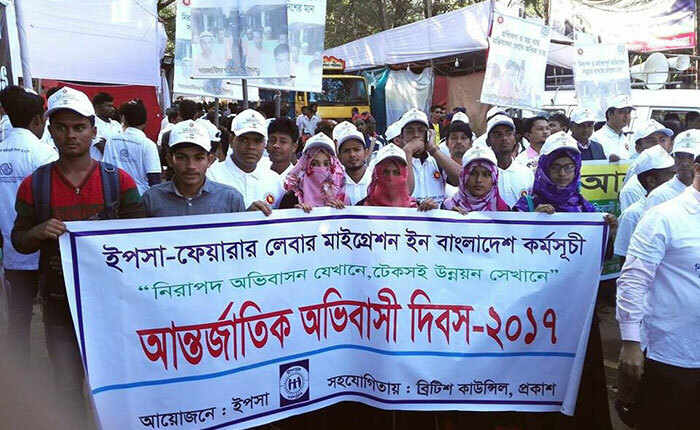 And in Bangladesh theme is “Safe immigration where there is Sustainable Development”. Colorful rally, discussion meeting, stall on fair migration and video shows was presents on marking this day at different working areas of YPSA. These processions were great success with almost 1500 participants were spontaneously participated at different areas with different professionals as Government Official, Banker, NGO representative, Civil Society, Teacher, Student, Youth, Migrants, Media People and Masses. 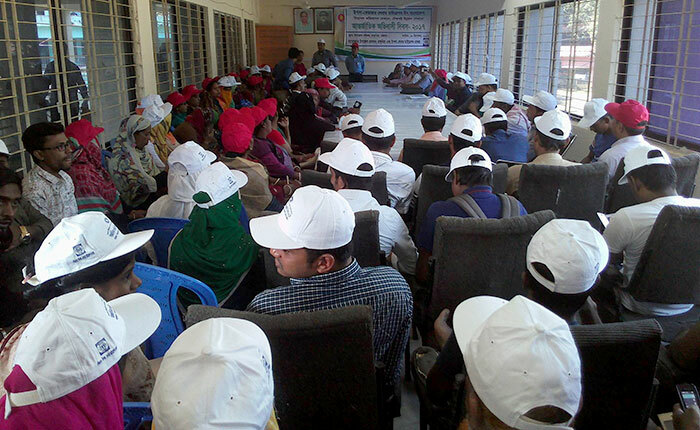 In Cox’s Bazar at morning YPSA brought out the colorful rally. The rally paraded major streets of the town. After the rally, a discussion was held on the importance of International Migrants Day. As well as in Rangunia, Chittagong same events was happened. At discussion, Rangunia UNO said Migrants people are contributing national economy. But migrants are cheated and abuses at country as well as in destination country. To reduce the harassment of migrants everyone should be inform on fair migration process and Steps. In that regards, government and NGO should working together. Simultaneously a discussion on International Migrants Day’2017 was held on Cox’s Bazar. 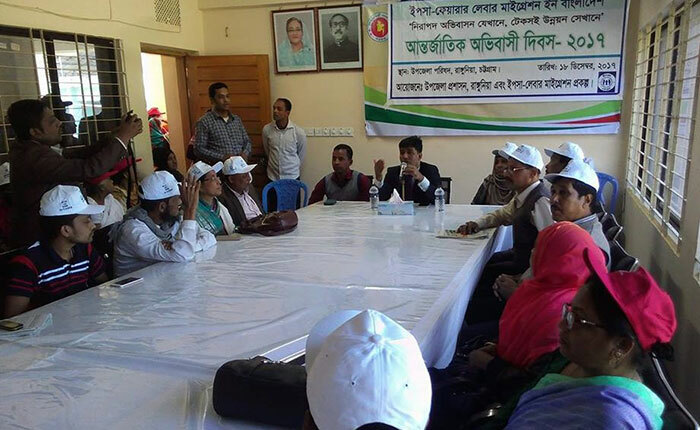 In discussion Cox’s Bazar, District Commissioner, Mr. Ali Hossen said that, the Economic Development of Bangladesh is gearing up with the remittances sent by the migrants. An integrated initiative is essential for ensuring welfare of migrants. In that regards, GO, NGO, INGO and Financial Institutions should working together. 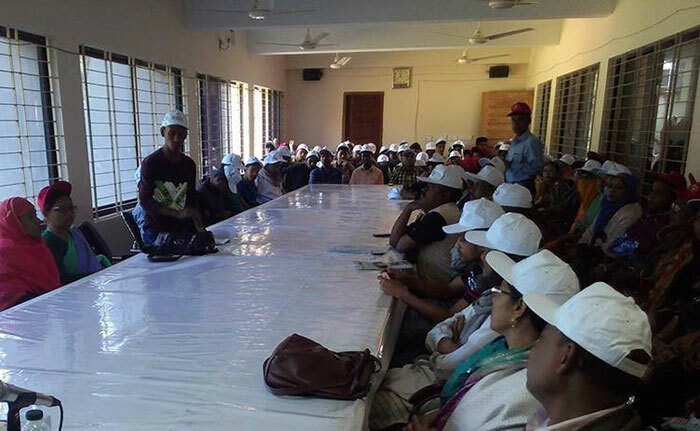 Alike, Assistant Director, DEMO, Cox’s Bazar, YPSA Official and Others NGO Official was participates of his discussion. In discussion NGO Official said that, migration draws increasing attention in the world nowadays. Mixed with elements of unforeseeability, emergency, and complexity, the challenges and difficulties of international migration require enhanced cooperation and collective action among countries and regions. NGO’s are actively playing a catalyst role in this area, with the aim of creating more dialogues and interactions within countries and regions, as well as propelling experience exchange and collaboration opportunities.